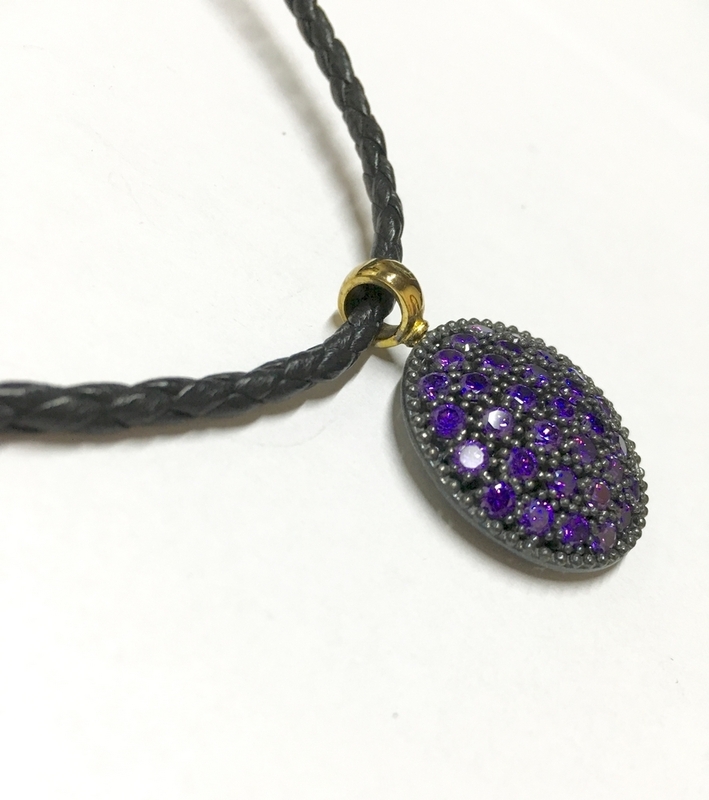 PENDANT EN PLATA DE LEY 925 and GOLD YELLOW WITH APPLICATION OF CIRCNITAS COLOR AMETHYST. 3 CM IN DIAMETER. LEATHER CORD BRAIDED IN BLACK WITH CLOSING OF snap HOOK 50 CM.